Control splotchy and spotty skin. The combination of these ingredients will help to control all manners of dark tones scattered about the face and body. This kit is filled with the best products to help even out your skin tone. 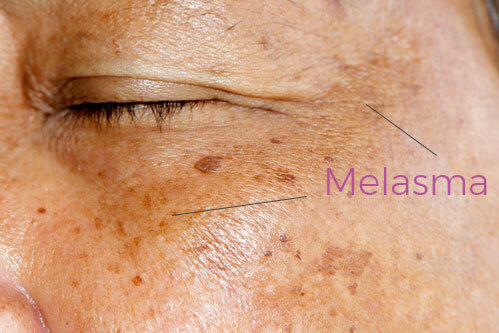 *Melasma is a special condition. No matter what "miracle stories" you have heard out on the internet, melasma is a chronic problem of which there is no cure. 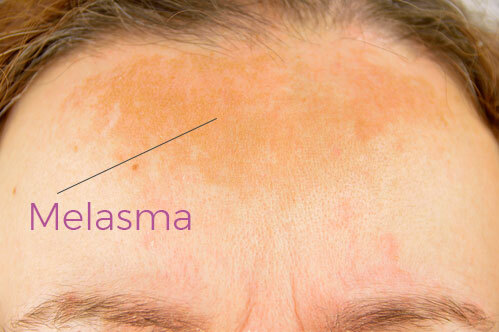 This does not mean that you can't lighten your melasma - because you can! But understand that you will be treating this condition for the rest of your life. You will always need to wear sunblock of at least 30, have a hat on and keep your skin covered or you WILL absolutely get the pigmentation back. An afternoon is all it takes. Even just a sunblock is not enough, so always have a wide brimmed hat with you and reapply your SPF every 4 hours. Our kit contains the following items: *You may click on the individual product to have a popup of that page to review. Your choice of Mandelic or Lactic weekly peel. Prep A Solution for best peel application. High Octane Vitamin C Serum daily treatment. Diamond Dermabrasion Cream w/Lactic acid for manual exfoliation. Certified Emu Oil for moisturization, penetration and healing. Retinol .20% Molecular Serum to thin exterior layers and promote deep penetration of products. *If you are dealing with dermal melasma you will most likely need to add on a monthly, multi-layered TCA 13% peel as you move forward. Wash and tone the skin. Apply Fade Bright. *You may mix both (C & Fade Bright) together in your hands and apply in a single motion or layer. If you have opted to add on the Emu oil, layer that on top of your actives to aid in penetration and to give moisture. Apply a sunblock of at least SPF 30 if you are heading outdoors. On a weekly basis perform either the Mandelic or Lactic peel on all pigmented areas. We suggest applying peel solution on entire face/area at least one time every few peels to keep all skin areas even.